Let’s visit London today. After a month, each travel guide is well on its way to completion. It’s taken me a bit longer than usual but I’m finally making some progress with my million photos that I took on the trip. I need to learn my lesson and just be very selective about the photos I take while we’re actually on the trip – life would be so much easier if I remembered that at least 1/4 of the photos usually end up in the trash bin.We had a blast in London – it’s such a fun city to tour during a layover and I would say it’s 100x easier to “layover tour” than Paris, Milano and Cairo (yes, I’ve done layover visits in all of those cities). I’m going to be totally unoriginal and recommend this amazing walking tour guide with a few modifications. 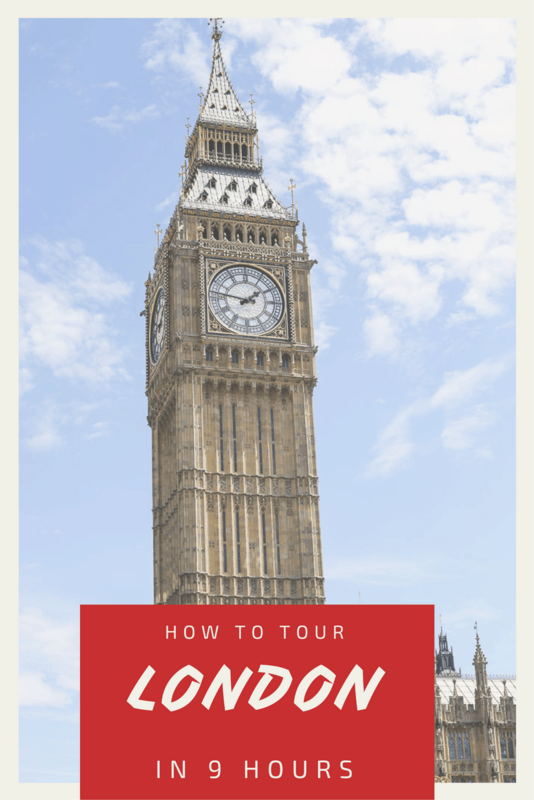 The guide is great at getting you out of Heathrow and well into the city. It truly was a “wow” moment to come out of the station and spot Big Ben literally steps in front of you. We both stood in awe as it towered in front of us (pun intended). We did walk to the left of the station to snap some photos of the London Eye. And then we walked back towards the station.One note of confusion per the guide: in order to get to Whitehall via Parliament Street, take a right on the street (Parliament St) at the corner just past the station – station is behind you on your right (Big Ben is behind you to the left) – follow this road down and you’ll run into Whitehall. After we walked through the gardens and got a glimpse of Buckingham Palace, we set out to see side streets and wander around. We ran into this cute business district that was full of shopping and then we set out to see Tower Bridge mainly because I wanted to be a total tourist and get a shot of it. And so we took the tube to London Bridge station, walked out of the station and up a ways towards London Bridge and snapped some photos of the city in the distance. We made our way to the part of the bridge overlooking Tower Bridge and admired the views (first photo at the top). Note that if you’re looking for the classic bridge in the top photo, you should ask for directions to see Tower Bridge and not London Bridge like we did. Apparently, it’s a popular mistake among tourist because the name “London Bridge” is the most well known. London Bridge actually overlooks Tower Bridge. Then make your way back to the station to take the tube to the airport, allowing yourself time to get back before your plane departs!